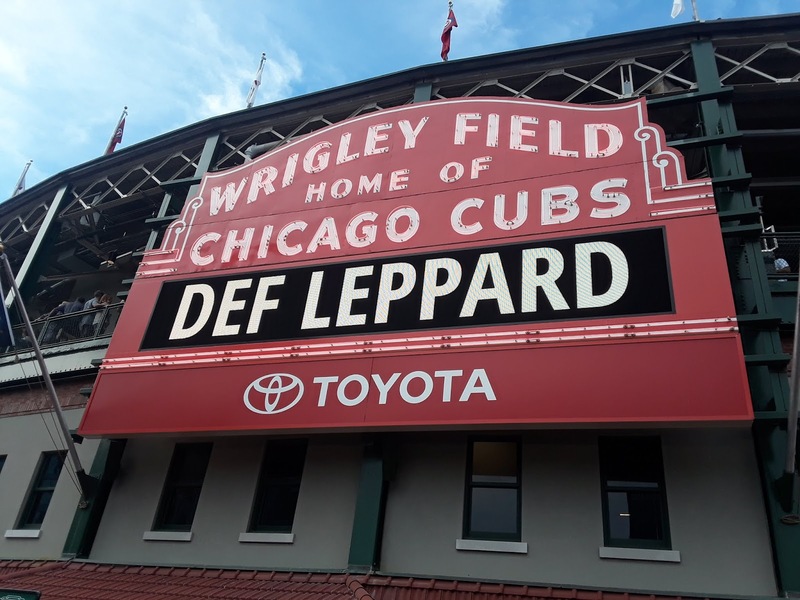 A woman was seriously injured in a 30- to 50-foot fall from the terrace level of Wrigley Field during a concert Saturday night, according to multiple witnesses and a spokesman for the Chicago Cubs. “We have reached out to the family to express our concern,” said Cubs spokesman Julian Green. Despite the woman’s injuries—one witness said part of the victim’s scalp had come off—no police report was filed according to the Chicago Police Department. The matter appeared to be handled exclusively by the team’s private security and ambulance services. If the team failed to notify authorities, it would be the second time in about a year that serious injuries went unreported at Wrigley Field. 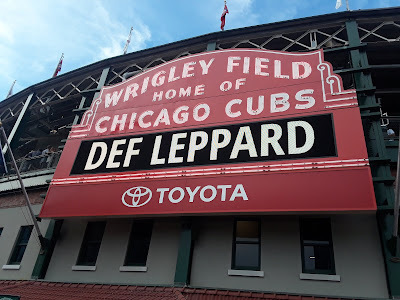 Around 9:20 p.m., as 80’s rock band Def Leppard began its performance, the woman fell from the third-baseline terrace level to a ramp between the first and second floors, according to Green and the witnesses. One witness estimated the woman to be in her early 50’s, another said she may have been in her 60’s. Green declined to give the woman’s age or her condition citing health privacy laws. 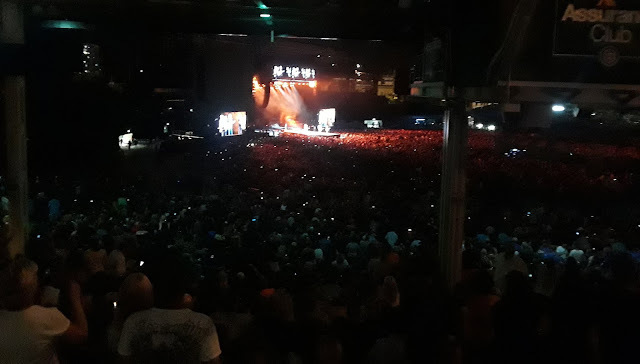 Moments before a woman fell from above, a witness took this photo of Def Leppard going on-stage. | Provided. Green said the woman was transported by a private ambulance service that is contracted by the Cubs organization. As of Tuesday morning, the Chicago Police Department had no record of the incident, according to its office of News Affairs. In May 2017, a 42-year-old suburban fell about 12 feet from a railing after a Cubs game at Wrigley Field. As in Saturday’s case, the incident was handled entirely by Cubs contractors and no authorities were notified. Advocate Illinois Masonic Medical Center was the first to notify police about the incident when the man died the next afternoon. Two weeks later, the Executive Director of Chicago’s Office of Emergency Management and Communications sent a letter to Cubs management demanding that, among other things, the police department be notified of any serious injury that occurs on Cubs property. “Currently, the Cubs are ‘responsible for making the decision about whether the incident is criminal in nature, not the police,’ [that is] an arrangement City Hall wants to change,” the Sun-Times reported last year. Green, the Cubs spokesperson, today said he was not aware of any reporting procedures that would require notification of police. Update: After our story was published, Green called to report that the local 19th (Town Hall) Police District had been notified about the incident, but he did not know when that took place. Green said that because the matter was "non-criminal," police would not necessarily get involved. He did not say how the incident was deemed non-criminal without police involvement. Alderman Tom Tunney (44th) and his chief of staff, Bennett Lawson, did not respond to inquiries about Saturday's incident.